Precision loading requires precision measurement - Get the best for the best results! Made of hardened stainless steel with ground and lapped measuring faces, this fine instrument will provide extremely accurate results for years to come. 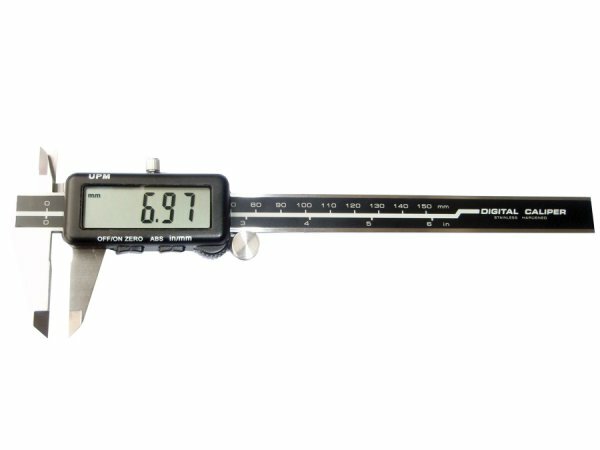 The Digital Caliper offers the latest in design with a large LCD display and on / off button control. Measures in inches and metric. 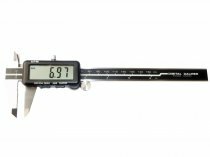 The Digital Caliper offers the latest in design with a large CD display, zero setting with memory hold, and on / off power control. Includes both inch and metric conversions. With a range of 150mm - 6" and a resolution of 0.01mm / 0.0005" and accuracy of +/- 0.02mm.